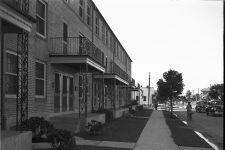 Opening in 1941, the Lafitte public housing development was one of the city’s largest, stretching from North Claiborne Avenue to North Rocheblave Street, between Lafitte and Orleans Avenues. Before then, this area of Treme was fairly diverse, with African-Americans and creoles of color living alongside working-class white families (one of the houses bulldozed to clear the site was the birthplace of famed Sicilian-American bandleader Louis Prima). 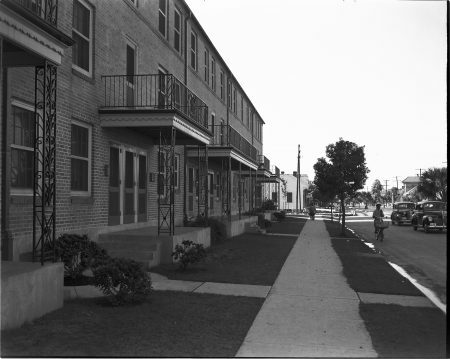 The Lafitte, though, was strictly for “colored” people, and the nearby Iberville project, on Storyville’s old footprint, was set aside for white residents only. Donald Harrison, Sr. was among the first generation of children to move into the Lafitte, where he sold fruit to neighbors from a mule-drawn wagon. 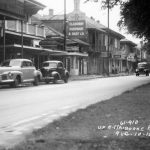 The corner of Orleans and Claiborne was the center of black Carnival then as it is today, and Harrison loved watching Mardi Gras Indians gather there in full regalia. He was masking by 1949, and would go on to be Big Chief of the Creole Wild West, the White Eagles, and the Guardians of the Flame. He’s credited with popularizing the song “Shallow Water,” now a Mardi Gras Indian standard. 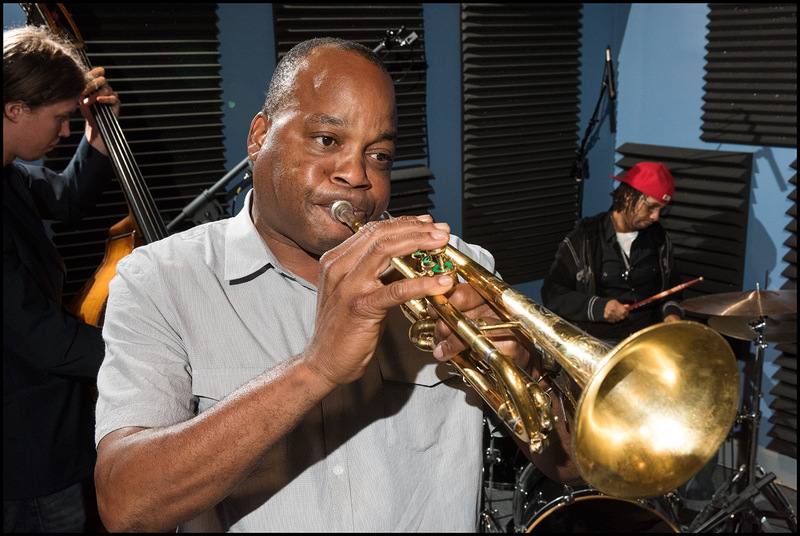 The Lafitte’s location helped make it a haven for brass band musicians. Its low-rise brick buildings fronted eight blocks of Orleans Avenue, a longstanding second line parade route. 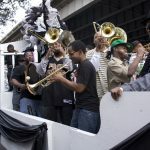 The Dirty Dozen Brass Band, one of the most influential brass bands of the modern era, first came together for informal neighborhood parades that visited the oak-shaded courtyards here in the mid-1970s. 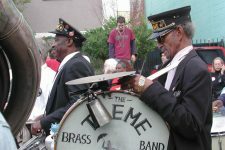 The Dirty Dozen caught the attention of Lumar LeBlanc, a kid in the Lafitte who became a snare drummer in the Young Olympia Brass Band. 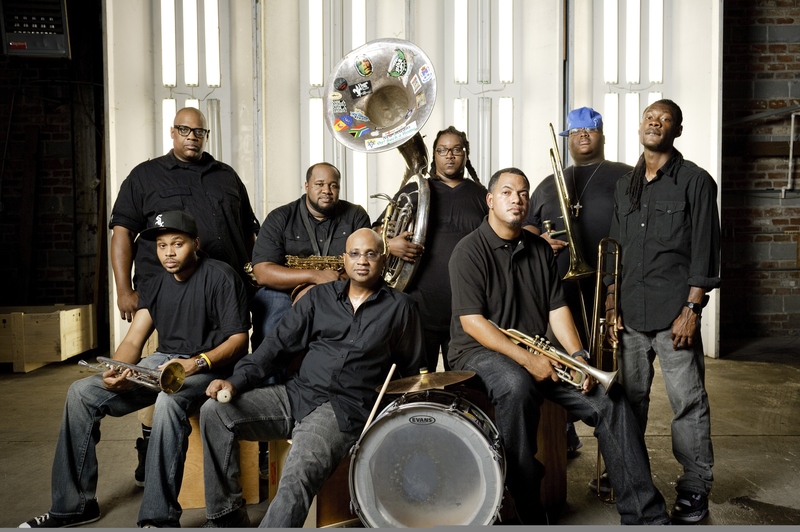 With bass drummer Derrick Moss, he formed the Soul Rebels Brass Band in the early 1990s, a group that focused more on club gigs and recording than second lines. 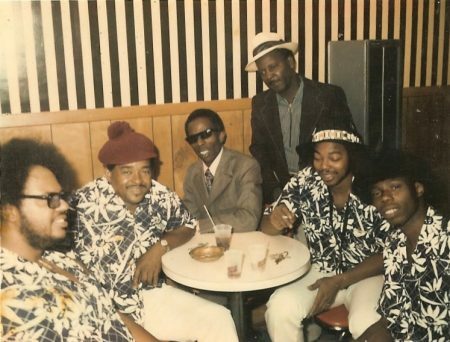 They would eventually drop “Brass Band” from their name and branch out into a range of genres, most notably hip-hop. Today, they tour internationally and collaborate with rappers including Nas and Talib Kweli. Dorothy Hill, whose husband was Jessie Hill of “Ooh Poo Pah Doo” fame, lived next door to the great vocalist Johnny Adams in the Lafitte. Hill’s grandson James Andrews stayed with her regularly while cutting his teeth as a young trumpeter and singer. He played in the Treme Brass Band, fronted the New Birth Brass Band, and now leads his own Crescent City Allstars. 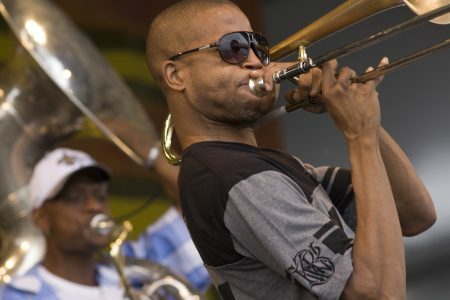 Andrews was also a mentor to his younger brother Troy “Trombone Shorty” Andrews, who vaulted from Treme’s brass band community to national success leading a band called Orleans Avenue. Tragically, their brother Darnell “D-Boy” Andrews, who played trombone, was shot and killed in the Lafitte when he was 17. 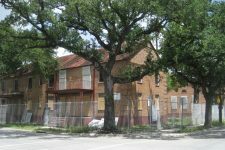 The development emerged from Hurricane Katrina with minimal structural damage (Katy Reckdahl reported that its brick walls were so thick that musicians could practice at home without disturbing their neighbors). Still, evacuated residents, even those like Preservation Hall tuba player Jeffrey Hills whose apartment was unaffected, were never allowed back in. 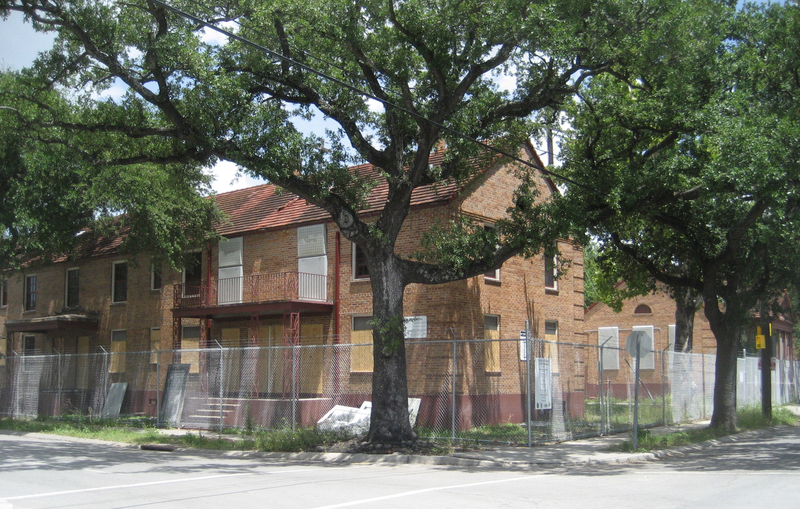 The department of Housing and Urban Development, with local political backing, demolished the Lafitte in 2008. One of the nearly 2,000 people displaced as a result was brass band icon “Uncle” Lionel Batiste, who’d moved to the project when his house in Treme was torn down to make way for Armstrong Park forty years earlier. Today, his portrait is on a pillar of the Claiborne overpass in front of the mixed-income housing development that eventually replaced the Lafitte. 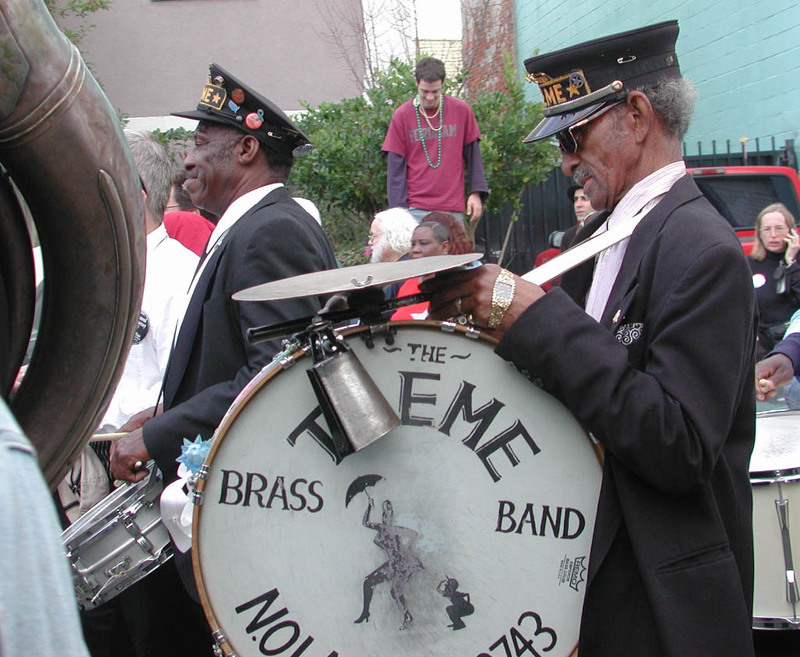 From 2012, the Treme Brass Band plays in a horse-drawn carriage. "Uncle" Lionel Batiste plays bass drum and sings. Benny Jones, co-founder of the Dirty Dozen Brass Band, plays snare drum. Video posted by Bloody Sunday Sessions. From 2016, the Soul Rebels perform with Talib Kweli, Joey Bada$$, and Big Freedia. Bandleader Lumar LeBlanc is on the snare drum and cymbals. Video posted by The Soul Rebels. The Lafitte projects when they opened in 1941. This view is on Orleans Avenue looking away from Claiborne Avenue. 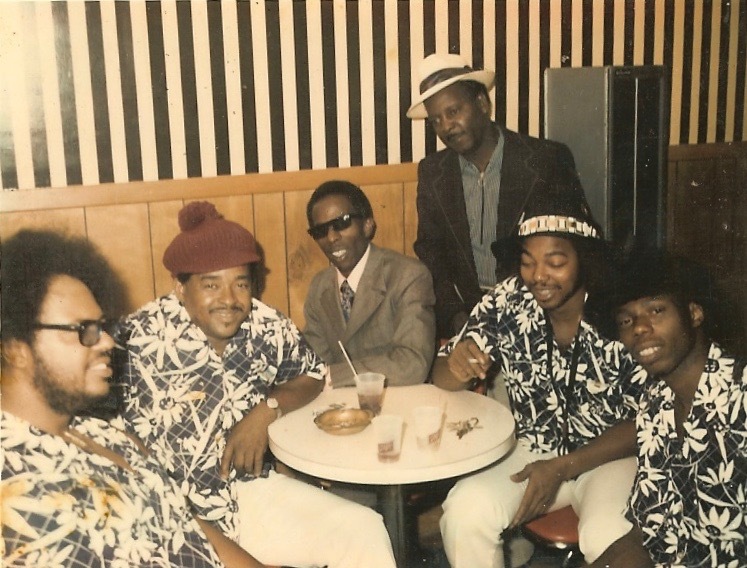 Courtesy of Louisiana Division/City Archives, New Orleans Public Library. Photo by Works Progress Administration. The Soul Rebels in 2012. 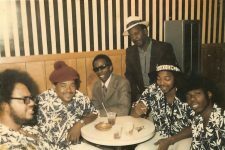 Leader Lumar LeBlanc is standing at the far left. Wikimedia Commons. Photo by Rick Olivier. The Lafitte projects just prior to demolition in 2008. 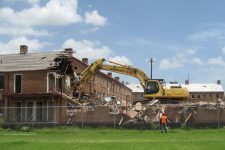 The demolition of the Lafitte projects in 2008.